In a nursing home, an elderly man reads to an elderly woman, telling her a story about young lovers who are separated by the girl’s disapproving parents, then get an unexpected second chance to find happiness. As he reads, the story weaves a spell, taking reader and listener into a romantic realm that transcends time and place. 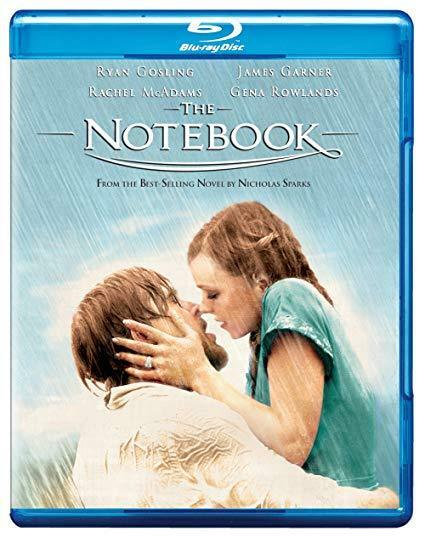 Based on Nicholas Sparks’ bestseller and starring Ryan Gosling, Rachel McAdams, James Garner and Gena Rowlands, The Notebook lifts viewers out of the ordinary with beauty, tenderness and an unshakeable belief that love can create miracles.